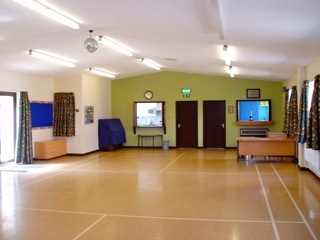 A single storey building, Potto Village Hall has usable floor space of approximately 220 sq. metres comfortably accommodating up to 100 people for seated events. 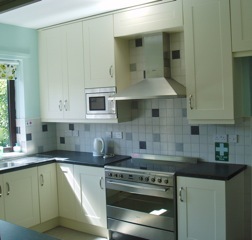 The facilities include a recently installed kitchen and separate fully licensed bar along with toilets and small car park. We currently host Hutton Rudby & Swainby Cubs on a Monday evening, and there is a regular Quiz in the Hall every Sunday evening. Throughout the year the Village Hall Management Committee run a varied programme of events to suit all tastes, in order to both entertain the Villagers and raise much needed funding for the ongoing maintenance and improvement of the Hall. The original land and building was given to chosen trustees by E B Richardson of Potto Hall for the use by the community as The Village Hall. The hall was rebuilt by County Endeavour on behalf of The Potto Village Hall Committee as part of the Manpower Services Programme with the foundation stone being laid by Councilor L Bailey in 1986 and officially opened by Mr. H V C Tarren on 13th of Dec. 1986.